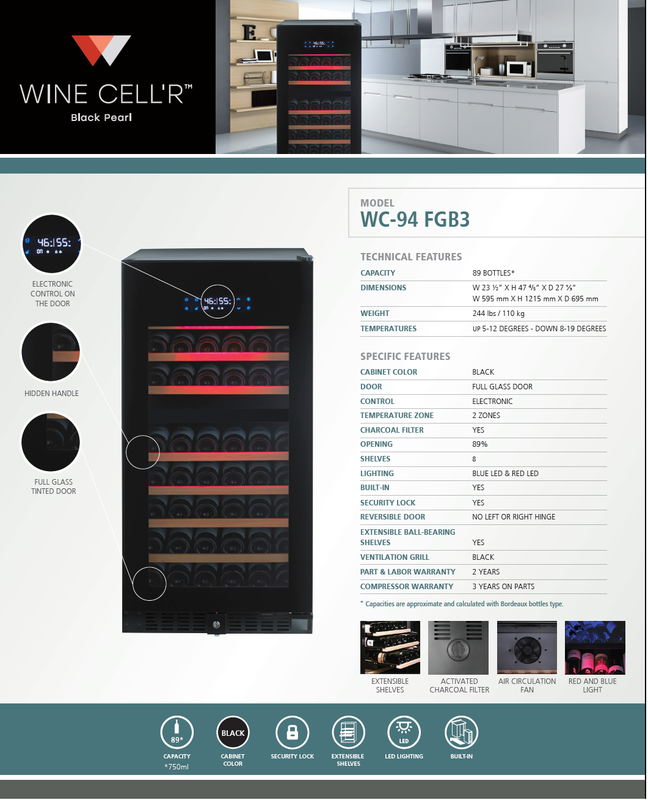 Great for catering professionals or the new wine connoisseur, Wine CellR built-in or free-standing wine cabinets are practical, cost effective cabinets. Built in or Free standing climate controlled cooler. Most cabinets have reversible doors unless specifically indicated per cabinet. HINGE ORIENTATION - Most models are being changed to a reversible door. Standard hinge will be on the right when looking at the front of the cabinet. The door swing can easily be changed on site to left hinge. Should you wish Rosehill to change the hinge orientation prior to delivery, there will be a $50 charage. Wine CellR has specific trading areas within the US. We may not be able to sell a Wine CellR products into your area. If your Wine CellR is equipped with the Silent Mode – Please see instructions.